Brazilian heavyweight Jhonata Diniz has stepped in as a replacement for Fabiano ‘Cyclone’ Aoki, and now faces Daniel Ghita at the GLORY 4 Tokyo event on New Years Eve. A new bout has been added to the DREAM 18 card as Tatsuya ‘Crusher’ Kawajiri faces Michihiro Omigawa in a featherweight battle. The event is set to take place In Tokyo, Japan on New Year’s Eve. 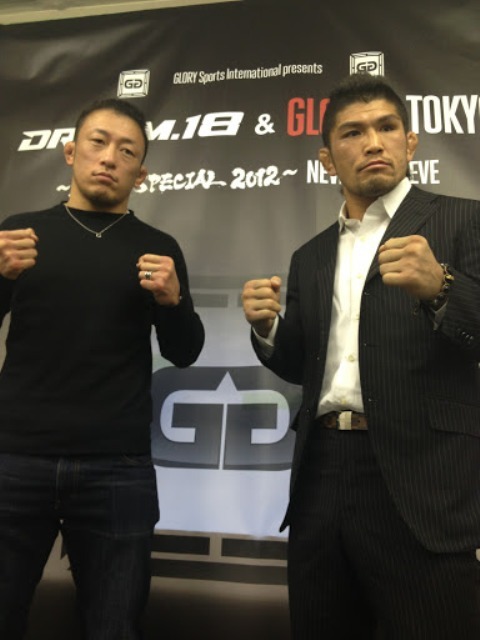 GLORY joins ONE FC promotional network, roster sharing expected to begin as early as New Year’s Eve DREAM/GLORY event in Japan. Glory Sports International announced today that they will be presenting a ‘DREAM 18 – Special NYE 2012’ show. The event will take place at the Saitama Super Arena in Japan on Dec. 31.